Note this was during earlier beta usage, so some of the UI and other features will have been updated more. 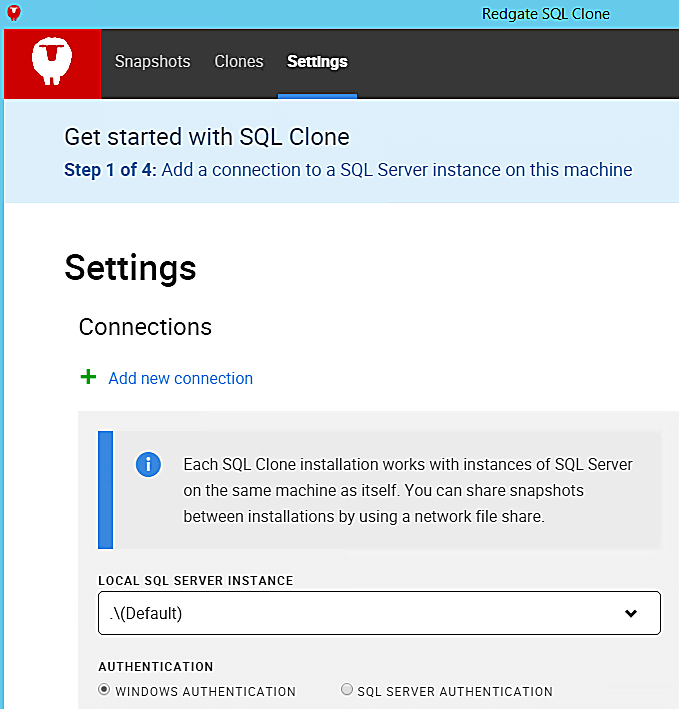 I plan on writing more on this promising tool as I get a chance to dive into it more, especially the powershell cmdlets for database cloning automation. In the meantime, I believe the permissions issue is still relevant, so I’ll post this as a reminder in case someone is working through the initial setup. 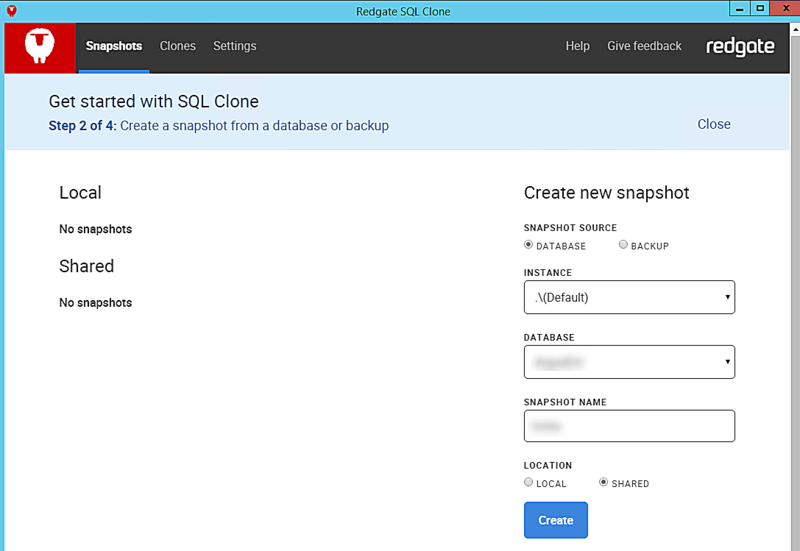 It seems like a real promising toolkit for testing and reducing storage requirements for testing database automated deployment pipelines. 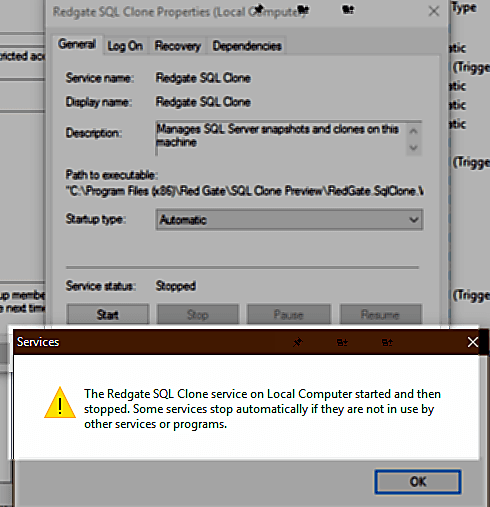 The Redgate SQL Clone service on Local Computer started and then stopped. Some services stop automatically if they are not in use by other services or programs. I wasn’t using for a while due to error message I couldn’t figure out. I then read through the help documentation again and found that the permissions required for the service account should be a local admin. 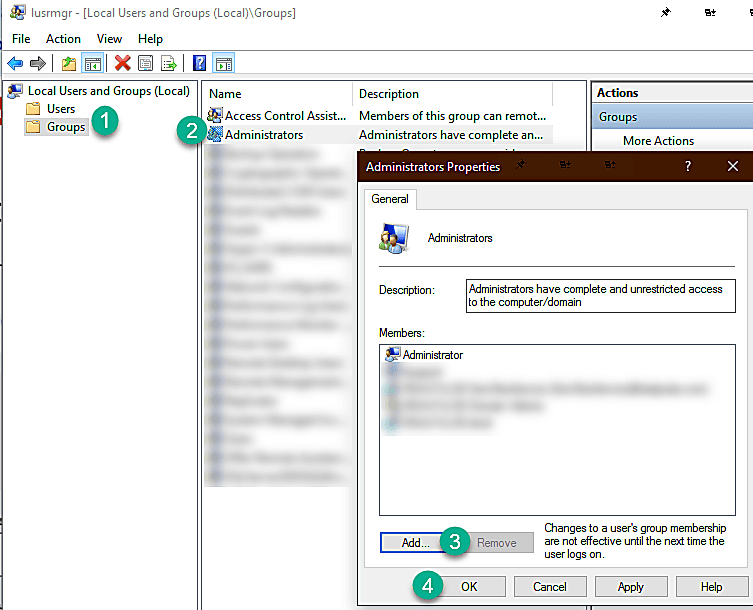 Once I added the service account to local admins, it correctly allowed the service to start.